I really hope you like my project for this challenge, I put so much love when making it :). Thank you very much for stopping by today. Wishing you a wonderful weekend!!! WANTED … for stealing hearts!! I just visited Pink Cat Studio and guess what? We have raised the amount of $525.99 so far!! Isn’t this great news?? I also fell in love with the card that Lauren made and wanted to try my own. Here is the final result. Do you like it? Want to try yours? Want to take the chance the win this beautiful set? Please visit Lauren’s, Vicki’s and Heather’s blog to read about wow you can win. 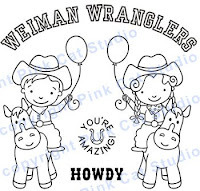 Welcome ” Weiman Wranglers” !!! Good Morning everyone!! See this beautiful card here? Melissa Rodger from Pink Cat Studio was approached by Lauren Meader, our team leader for “My Time to Create Challenges”, to design a set in honor of Ethan. Melissa eagerly accepted the request, and got to work on some WONDERFUL images. TODAY, these images are available to YOU, and ALL proceeds from these images will go to the Make-A-Wish Foundation of Illinois, in honor of Ethan, per request of the family. For only $6 you can purchase both “Weiman Wrangles and the sentiments” and have instant access to your images so you can start creating right away!! 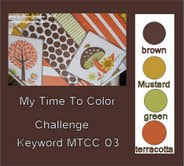 “My Time” design team member Tracey Cuccia, has created a very informative tutorial on how to use digital stamps. Thank you to everyone who has helped with this process. 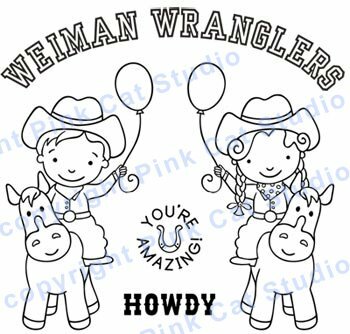 I’ll catch next time with more projects using these amazing digi-stamps.